Co. Wexford: Ballyhogue (2), Baltyhuskard (2), Castle Ellis (2), Edermine (2), Enniscorthy (4), Ferns (2), Kilcormack (2), Killan (2), Killegney (2), Kilrush (2), Meelnagh (2), Monart (2), Templeshanboe (2). Co. Wexford and Co. Carlow: Newtownbarry (2). The Board also included 10 ex-officio Guardians, making a total of 40. The Guardians met each week at noon on Thursday. The population falling within the Union at the 1831 census had been 57,735 with divisions ranging in size from Baltyhuskard (population 2,385) to Enniscorthy itself (10,277). 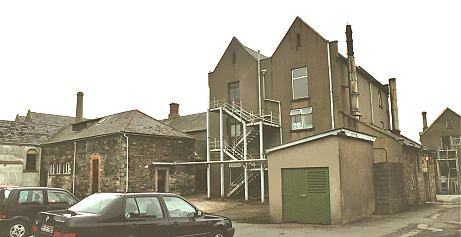 The new Enniscorthy Union workhouse was erected in 1841-2 on a five-acre site to the south-west of Enniscorthy. Designed by the Poor Law Commissioners' architect George Wilkinson, the building was based on one of his standard plans to accommodate 600 inmates. Its construction cost £5,600 plus £1,082 for fittings etc. The workhouse was declared fit for the reception of paupers on 1st September 1842, and received its first admissions on 11th November. The site location and layout are shown on the 1924 OS map below. Extensions at each side probably contained children's accommodation and school-rooms. A central spine containing the chapel and dining-hall linked to the infirmary at the west. During the famine in the mid-1840s, two store-houses were hired to accommodate an additional 200 inmates. Fever patients were sent to the Enniscorthy Fever Hospital. In 1875, care at the workhouse was supplemented by the arrival of three sisters of the St John of God order. 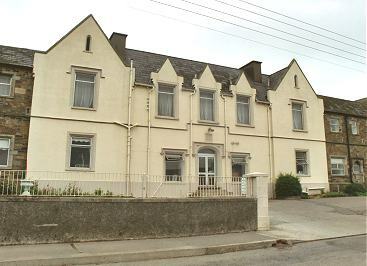 In 1922, following the formation of the Irish Free State, the workhouse became a County Home under the control of the Wexford Board of Health and Public Assistance. 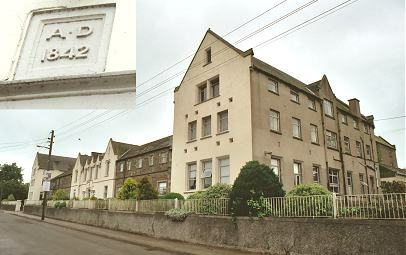 In 1942, control passed to Wexford County Council and in the late 1940s, the Home was renamed St John's Hospital. 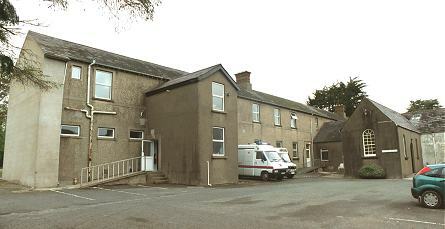 In 1971, its operation was taken over by the South Eastern Health Board. 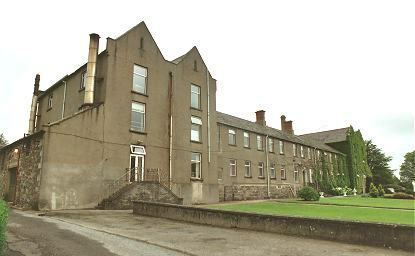 Enniscorthy was also the home of the Wexford County Lunatic Asylum, situated on the opposite bank of the River Slaney.